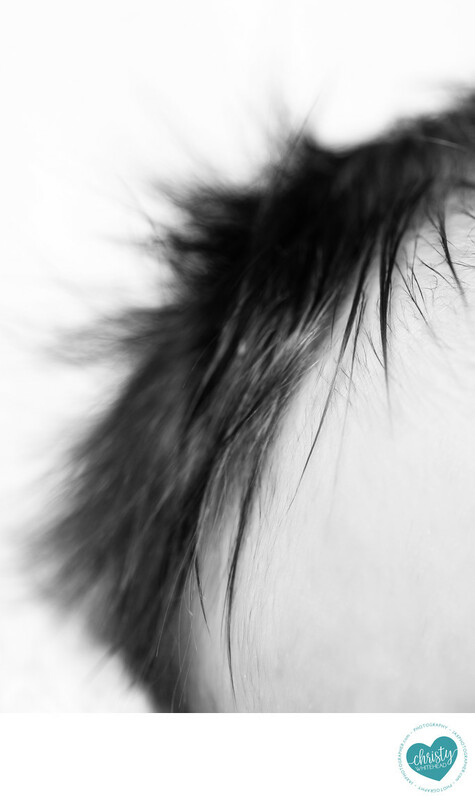 Some babies have just specks of hair. Others have full heads of luscious hair. Most all babies are hairy on their bodies. I love the little details. And black and white images really make you focus on the little details.